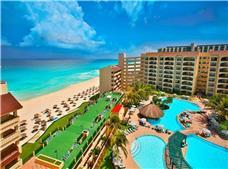 Cancun offers a wealth of fun and interesting attractions that include nature, traditions and culture. There are so many activities that it can be difficult to decide what to do first. Begin your day building sandcastles on the beach as the sun shines overhead, take a fishing or diving tour, enjoy a variety of water sports, hike through the jungle, take a guided tour of an archeological site, spend the day at a local theme park, or visit a nearby island. 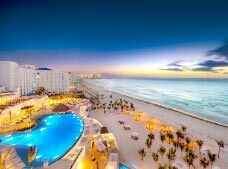 Cancun’s beaches are world-famous for having all the benefits of a Caribbean island: fine white sand that never gets too hot and crystal clear turquoise and emerald blue waters. 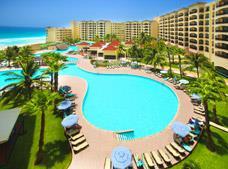 Cancun’s beautiful beaches are a delight for all your senses. 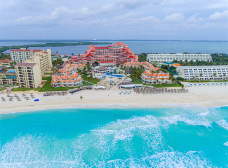 Some have calm waves, like Playa Tortugas and Playa Caracol, whereas others feature wide sandy areas and open waters, such as Playa Chac-Mool, Playa Marlin, Playa Ballenas and Playa Delfines (also known as El Mirador), which offers spectacular panoramic views. A leader among dive destinations, Cancun has options to suit all tastes, from cenotes and underground caves to reef diving in the open sea. While diving in Cancun, you can admire the spectacular beauty of the coral reef system in its natural habitat, along with schools of colorful tropical fish, stingrays, and many other species. 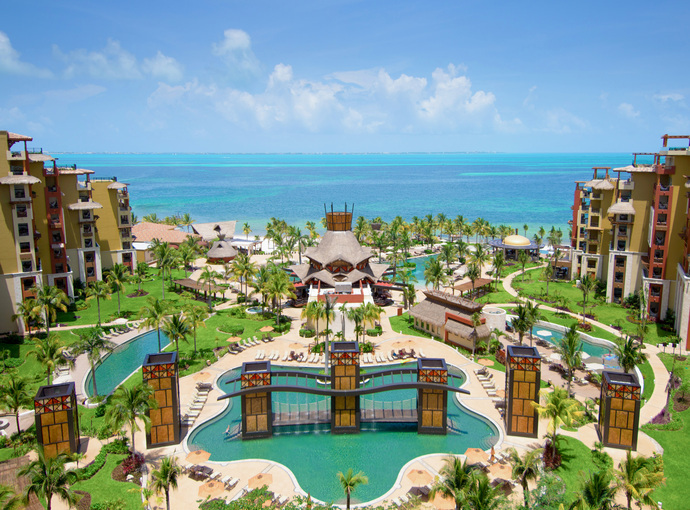 One of the most valuable treasures, the Great Mayan Reef is the second-longest in the world, after the Great Barrier Reef in Australia, and it’s easily accessible from Cancun. Other reefs that are good for diving in Cancun are Banderas and El Bajito, just north of Punta Cancun. For more experienced divers, Aristos San Miguel on the east side, and the Manchones Reef, located 8 miles from the coast and Punta Nizuc are good choices. Situated between Cancun and Isla Mujeres, the spectacular Underwater Museum of Art, (MUSA) features sculptures of human forms covered in various species of coral. Don’t miss it! Covering an area of over 7,400 acres, the Nichupte Lagoon system is made up of several lagoons and surrounds the inner part of the island. 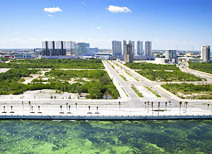 It connects with the sea via the Sigfrido Canal and the Nizuc Canal. This area is home to rich biodiversity and ecosystems where crustaceans, amphibians, birds, fish and crocodiles live. Along the lagoon you’ll find marinas and aquatic activity centers that offer interesting mangrove tours aboard motorized boats to see the unique plant and animal life. Glass bottom boat rides, private yacht rentals, and Jet Ski rentals are also available. 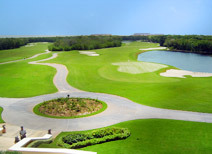 Don’t pass up the opportunity to play golf during your next vacation in Cancun. 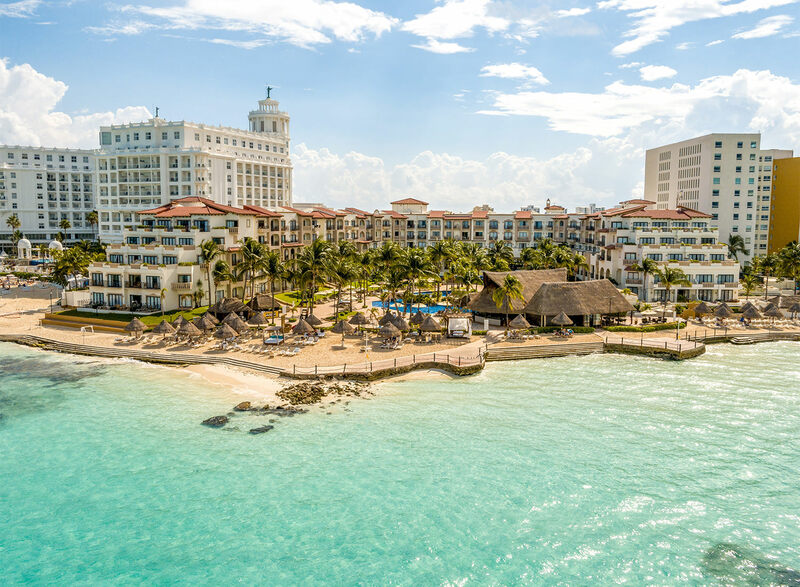 In addition to the natural beauty of the Mexican Caribbean, the city has several championship golf courses designed by experts like Robert Trent Jr., Greg Norman and Jack Nicklaus. For this reason, Cancun and the Riviera Maya have been awarded the title of the best golf destination in Latin America and the Caribbean. The various golf courses have fairways and greens that will challenge even the most experienced player. 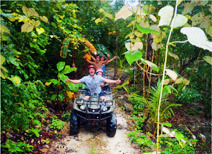 They have lush natural scenery, exotic plant and animal life, and guarantee an unparalleled experience. This museum, located at Km. 16.5 in the Hotel Zone, is considered one of the most important museums in the country and features a significant collection of archeological relics from the Mayan culture. 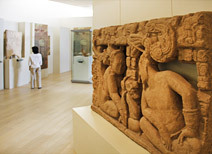 It has two rooms with exhibits of artifacts from the state of Quintana Roo as well as objects from Palenque, Chichen Itza, and Comalcalco. Museum admission also includes access to the San Miguelito archeological site, which is located on the property. 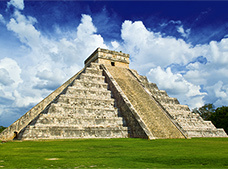 There are Mayan archeological sites located all along the coast of Cancun. They are clearly marked on most maps and one of the most important archeological sites is “El Rey,” which is located at Km. 17 of Kukulkan Boulevard. It’s worth a visit because it is well-preserved and inexpensive to access. You’ll be amazed by the number of iguanas that inhabit the site. 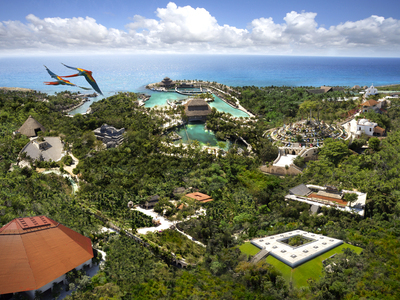 Xcaret – A spectacular eco-archeological park located 47 miles from Cancun in an idyllic setting. 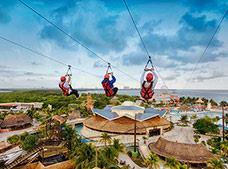 This park combines natural beauty with the culture and traditions of Mexico for a fun day out. At Xcaret you can enjoy a variety of water sports, swim with dolphins, take a tour of the underground rivers, visit Jaguar Island, visit the butterfly pavilion, and watch fascinating shows like the ball game, the equestrian show, and the incredible Mexico Espectacular, a journey through the history of Mexico with live performances, music, and traditional dances. Xplor – Thrill seekers will love riding towering ziplines at full speed while admiring panoramic views of the jungle at this park. 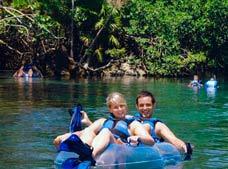 Xplor also offers rafting tours, swimming in underground rivers, and jungle tours on amphibious vehicles. This park is located about an hour from Cancun. 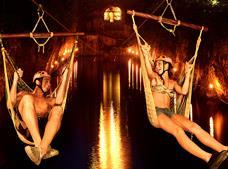 It also offers a nighttime adventure tour called Xplor Fuego. 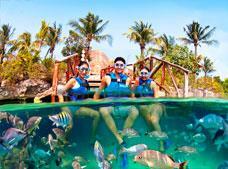 Xel-Ha – This theme park is a natural aquarium located 70 miles from Cancun. 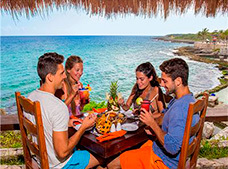 Xel-Ha is the perfect place to go snorkeling and see a wide variety of fish and marine life, swim with dolphins, float in an inner tube on the river tour, and cool off in the Maya Cave cenote. It has a children’s play area, an area with hammocks, and a restaurant. Xoximilco – This park was built as a tribute to the ancient Xochimilco, whose traditions date back to pre-Hispanic times. 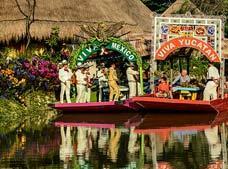 It has 32 trajineras (a type of boat), one for each state in Mexico, that tour the artificial canals while guests enjoy delicious Mexican cuisine and a variety of drinks, accompanied by the music of mariachis, jaraneros, and nortenos. Rio Secreto – At this park you can go on an exciting underground expedition to explore the stunning natural beauty that is hidden underneath the jungle. It features 9 miles of caves and underwater rivers with stalactites and stalagmites that have been sculpted by the hand of nature over many years. 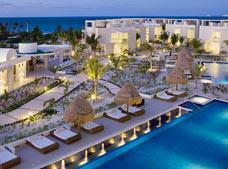 Rio Secreto is located 46 miles from Cancun. 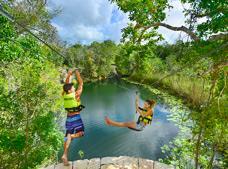 Xenotes – A visit to this park is a must for nature lovers. The Xenotes adventure tour explores the beauty of four different cenotes with a variety of activities, such as swimming in natural pools, riding ziplines, and kayaking, all while surrounded by the lush jungle of the Yucatan Peninsula. 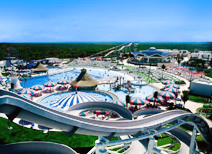 Wet’n Wild –Located at Km. 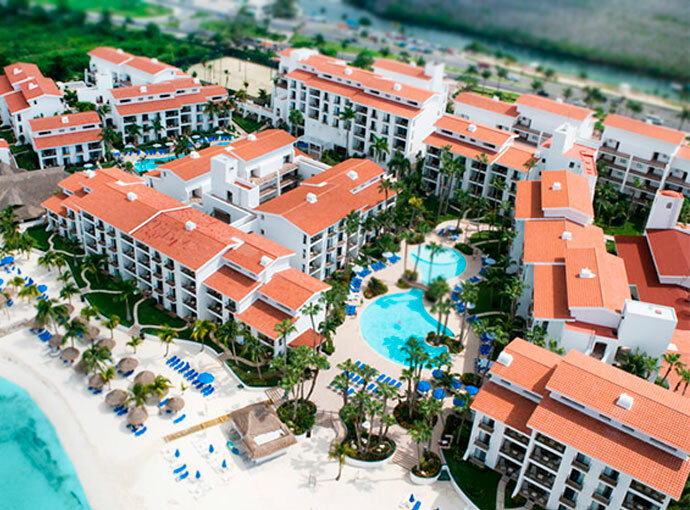 25 in the Hotel Zone, this water park offers fun for all ages with waterslides and swimming pools for kids, wave pools, and a lazy river. 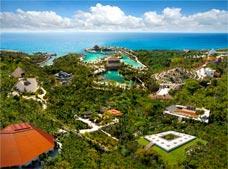 It has an area where you can swim with dolphins and a dining area. 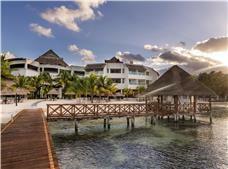 Many of the marinas in Cancun offer ecotourism adventures between the mangroves and the Nichupte Lagoon. You can drive your own boat or Jet Ski through the lush Green jungle to arrive at one of the longest and richest coral reefs in the world. Enjoy close contact with nature and have an amazing experience. Fishing is a favorite activity among many tourists who visit Cancun. This destination has everything you need for a fishing trip, from simple fishing with minimal equipment to exciting deep sea fishing, and spectacular night fishing. There are businesses offering fishing tours in the various marinas located throughout the Hotel Zone, with options for people of all experience levels, from first-timers to more experienced fishermen. oat or Jet Ski through the lush Green jungle to arrive at one of the longest and richest coral reefs in the world. Enjoy close contact with nature and have an amazing experience. The main species of fish that can be found here are wahoo, snapper, and grouper. In the deeper water you’ll find blue marlin, sail fish, and barracuda, perfect for an exciting afternoon out on the open sea. To help conserve the ecosystem of the Caribbean Sea, some species, such as marlin and sailfish, must be returned to the sea. sses offering fishing tours in the various marinas located throughout the Hotel Zone, with options for people of all experience levels, from first-timers to more experienced fishermen. oat or Jet Ski through the lush Green jungle to arrive at one of the longest and richest coral reefs in the world. Enjoy close contact with nature and have an amazing experience. 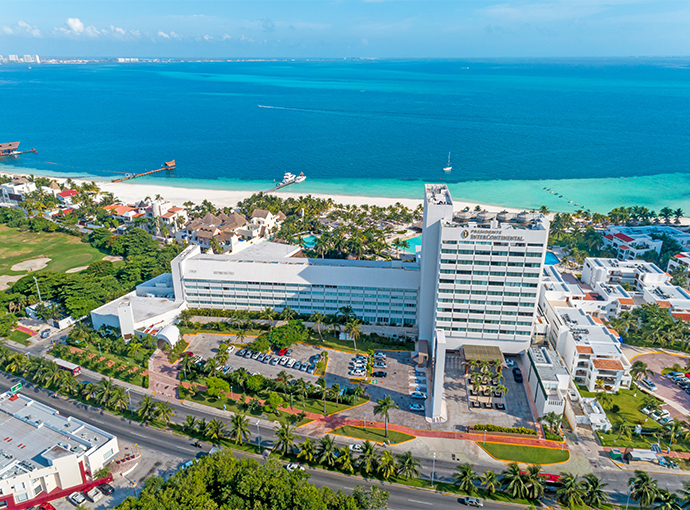 Surrounded by the beauty of Mexico's Caribbean coast, Cancun’s spas stand out for the wide variety of personalized services and regenerative therapies that they offer. Also worth noting is the quality products they stock along with the use of Mexican herbal medicine that combines the ancient knowledge of the Maya with the most advanced technology and expert Mexican and international therapists. The majority of wellness centers are located inside the hotels and they range from simple to more exclusive, sophisticated, and elegant, ensuring that each guest will feel completely reinvigorated at the end of each session. This attraction is located inside La Isla Shopping Village Mall in the Hotel Zone, and it’s a great place to learn about interesting marine species. 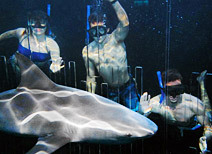 It has an aquarium area, an area where you can feed stingrays and a dolphinarium where you can see entertaining shows. It also offers a variety of interactive programs with the mammals. 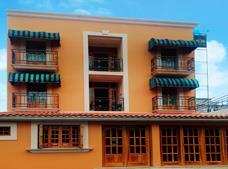 This recreational area is located near the entrance to the Hotel Zone and the downtown area of the city. It is just over half a mile long and has a bicycle path. It’s a nice place to go for a walk and enjoy views of the Nichupte Lagoon. The city sometimes hosts artistic and cultural events here. 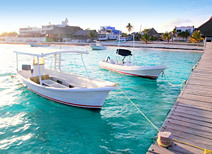 The charm of Puerto Morelos lies in the relaxed atmosphere of the town, which is located just 22 miles south of Cancun. This small fishing town is perfect for travelers seeking a quiet and peaceful stay, as well as those who want to snorkel, dive, and admire a variety of sea life in the marine park that makes up part of the Great Mayan Reef, the second longest reef system in the world. 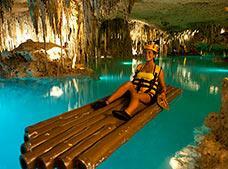 You can also visit Dr. Alfredo Herrera Marin Botanical Gardens and the Crococun crocodile farm. 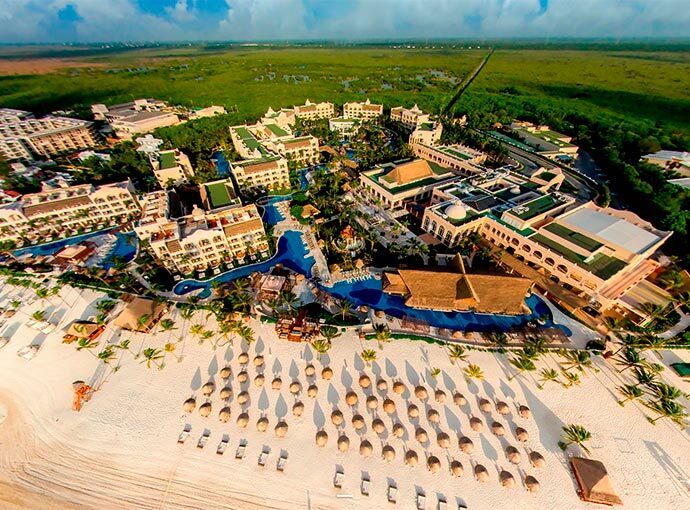 Puerto Morelos offers a wide range of hotels, everything from basic accommodations to a few well-known international hotel chains. It has several craft shops, seafood restaurants, and small bohemian cafes. Only five miles long and 550 yards wide, this charming island paradise has extensive beaches, cliffs, reefs for diving, and ancient Mayan ruins. 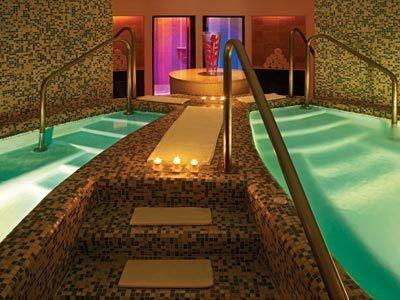 In addition, its quiet atmosphere makes it a great place to spend a relaxing day. 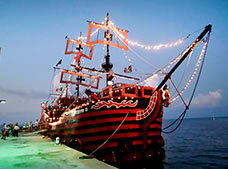 It offers a variety of hotels, marinas, restaurants, dive shops, and stores selling crafts. 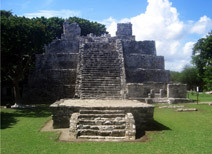 Highlights include Garrafon National Park on the south side of the island, where the goddess Ixchel was worshipped, as well as North Beach, the Underwater Museum of Art (MUSA) and mainland Cancun where you’ll find the El Meco archeological site. Golf carts are a common mode of transportation on the island. This is a destination that should be on the itinerary of all nature lovers. 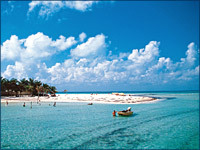 Isla Contoy is located south of Isla Mujeres, where the Caribbean Sea meets the Gulf of Mexico. This island is five and a half miles long with an area of 570 acres. It is a natural protected area with forests, lagoons, and mangroves inhabited by more than 150 species of birds, such as herons, pelicans, cormorants, and brown pelicans, as well as fish, crustaceans, and reptiles. 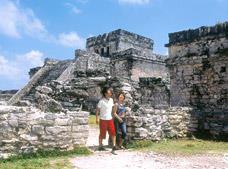 There are tours that depart from various locations in Cancun. Located north of Quintana Roo, this charming island paradise is home to fisherman and features quaint wooden houses. 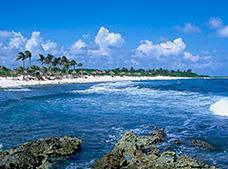 It is 26 miles long, 22 of which are beautiful wide beaches, and forms part of the Yum Balam Nature Reserve. It is known for its diversity of birds and marine life, including massive whale sharks that visit the island every year from May to September. 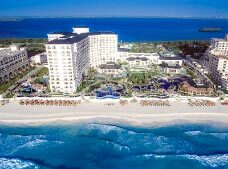 It offers a full range of accommodations, with an emphasis on eco-friendly hotels, and is known for its delicious fish- and seafood-inspired cuisine.